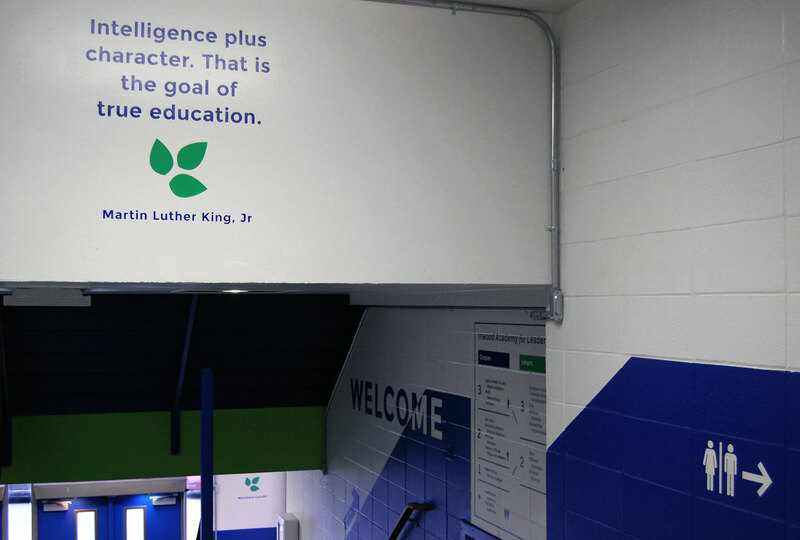 Our work for this charter school has ranged from wayfinding and environmental graphics to motion and infographics. 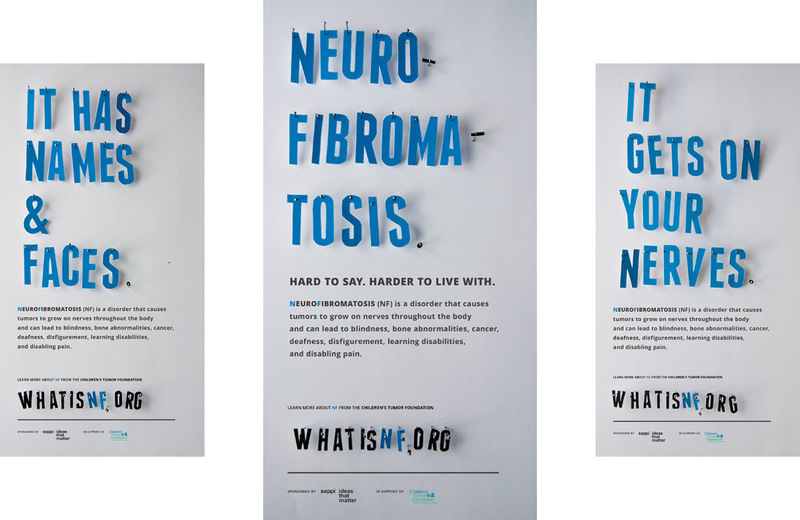 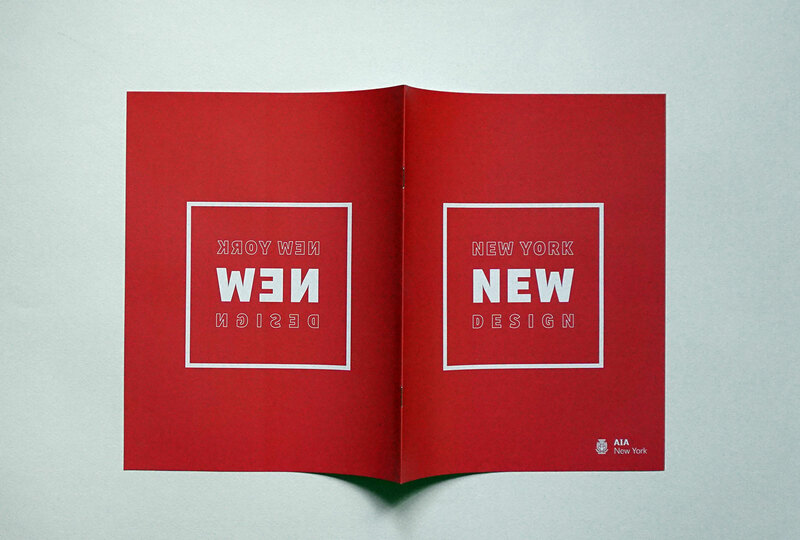 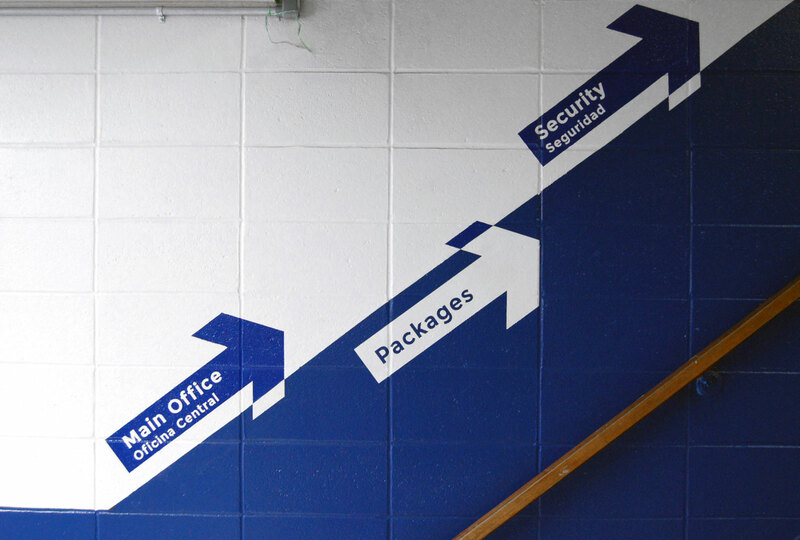 The following work is part of our continued work with the school. 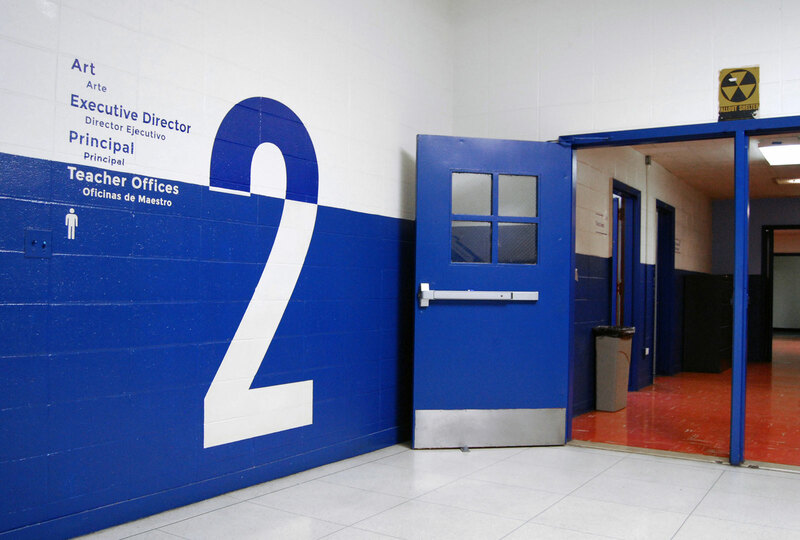 All work was in collaboration members of various Academy departments. 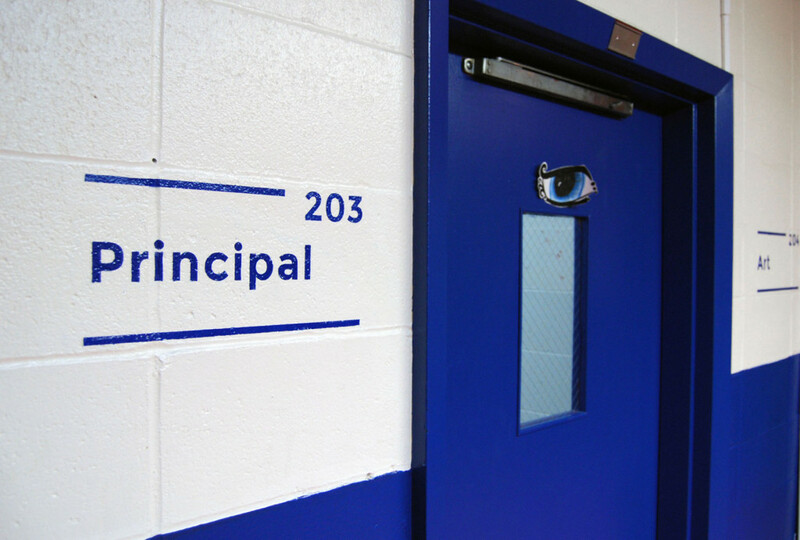 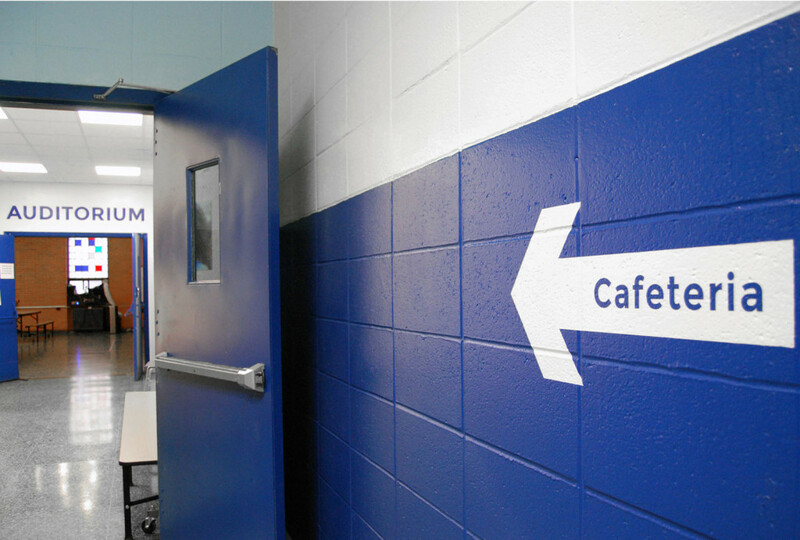 The Academy needed to energize the entry way of their high school in a way that could both introduce the school to visitors while building pride amongst returning students and staff. 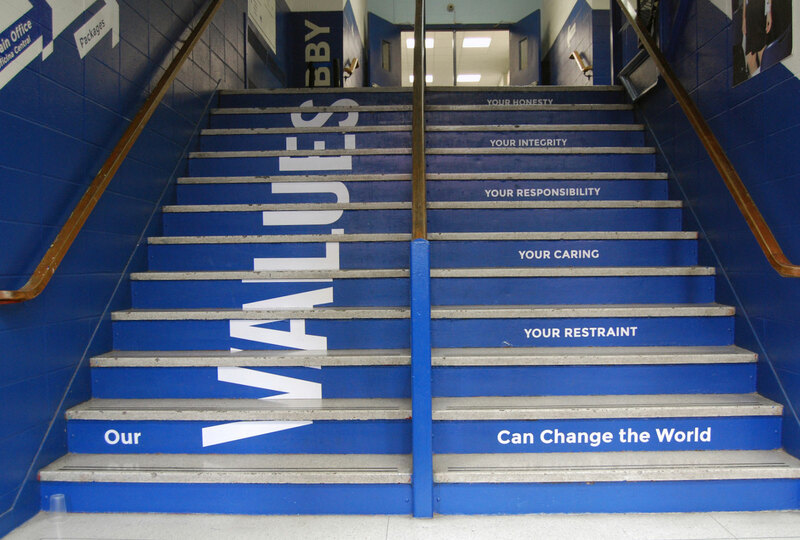 We used the school’s values as a way to welcome visitors and to repeatedly remind students of those core principles. 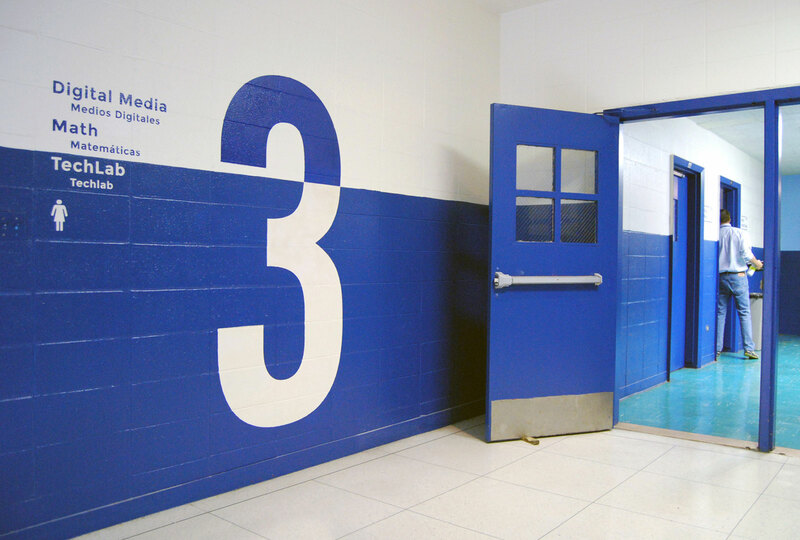 This area also orients people who enter the building while introducing the signage system that they would be seeing throughout the building. 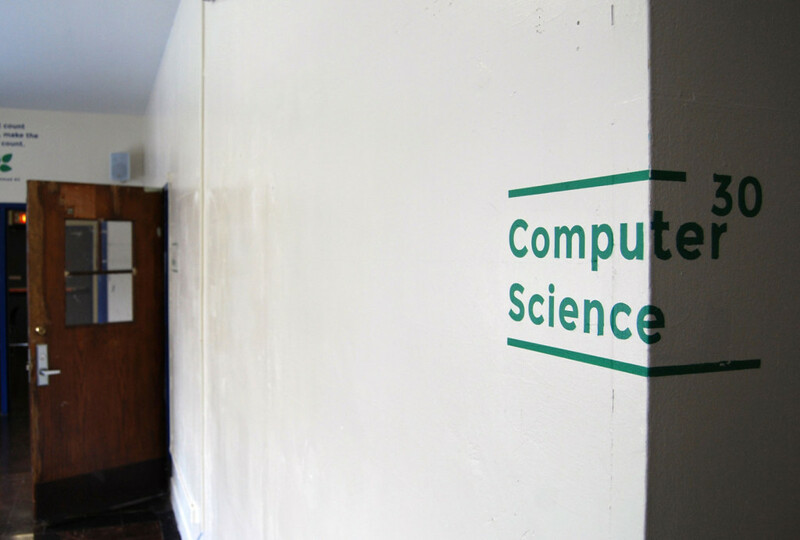 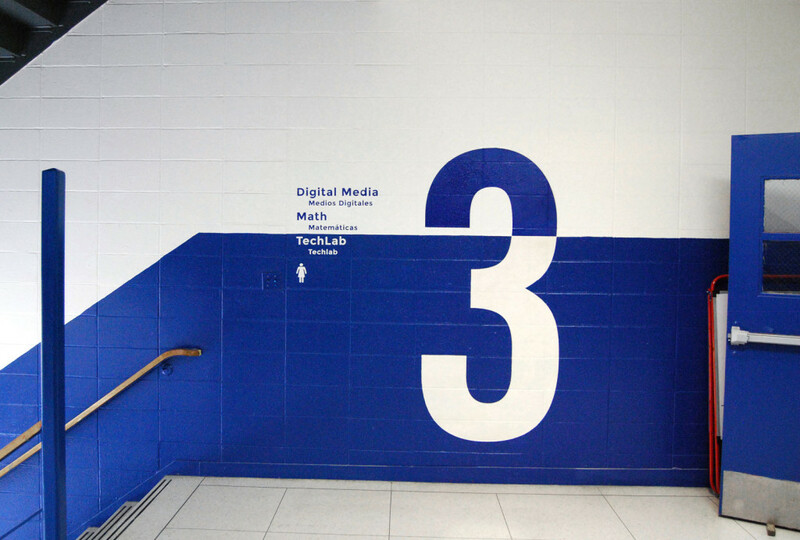 With the exception of the text on the risers of the stairs, these graphics were painted directly on the walls and surfaces. 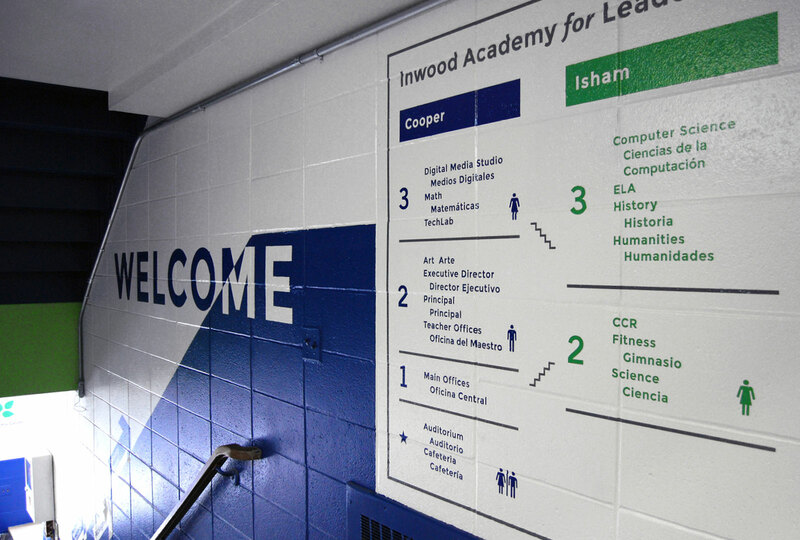 Navigating Inwood’s split-level high school building was a challenge for visitors and even students at times. 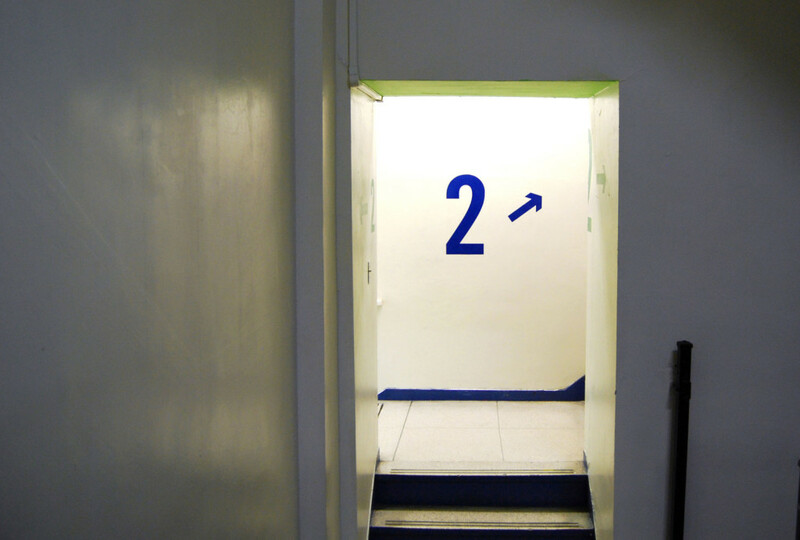 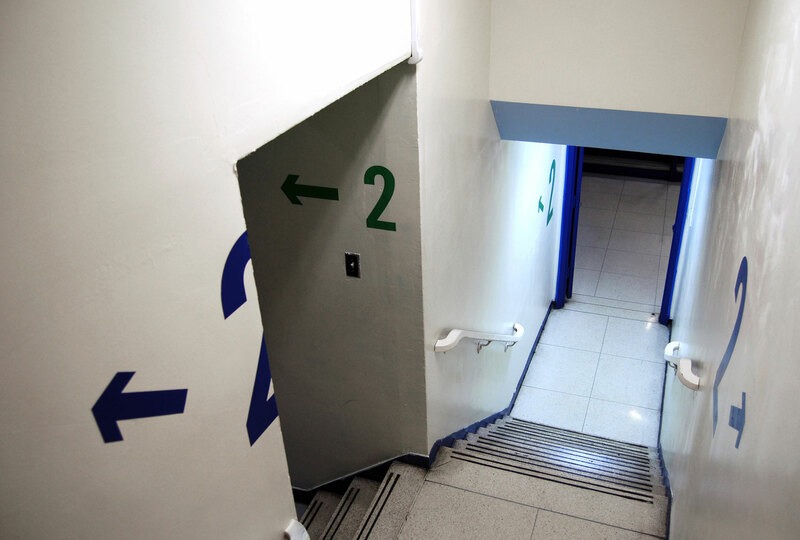 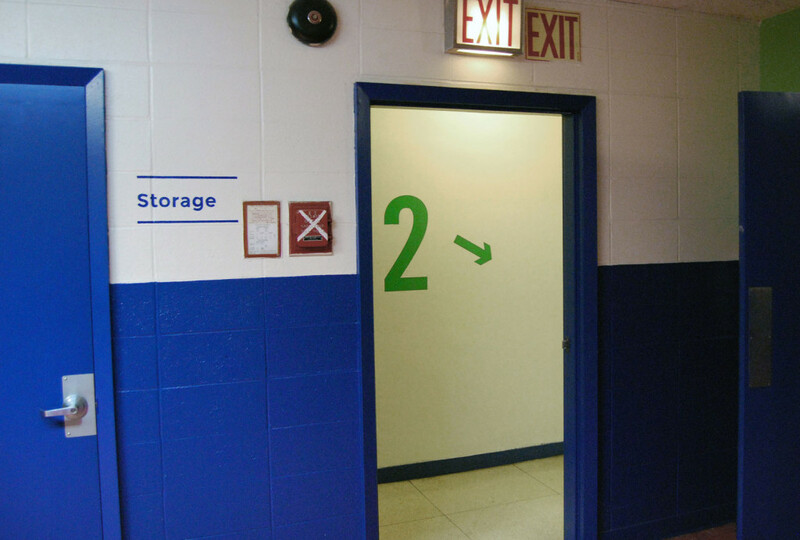 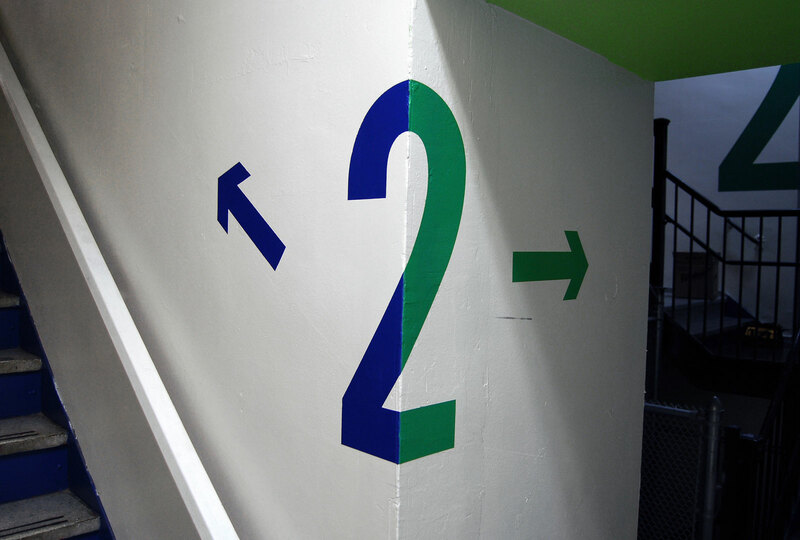 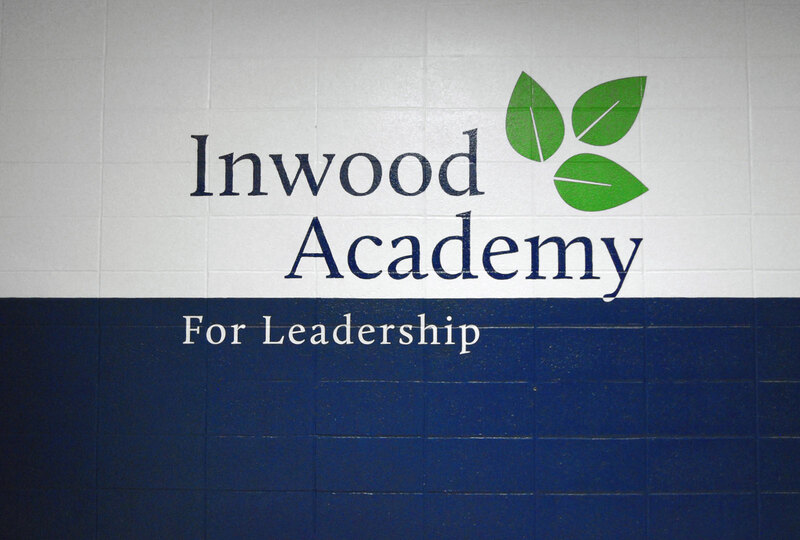 We used the two colors in Inwood’s existing logo as the basis for color-coding the way finding: the signs in one side of the school became blue while the signs in the other became green. 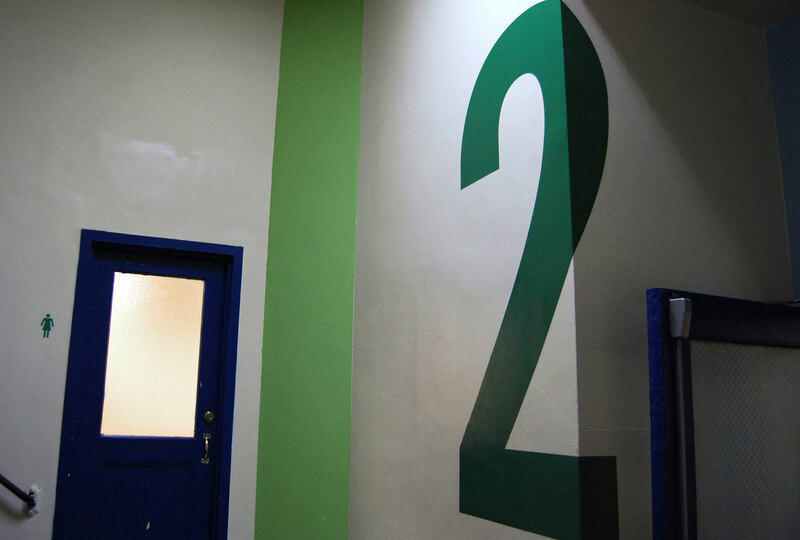 Along with arrows, we applied 7-foot tall numbers. 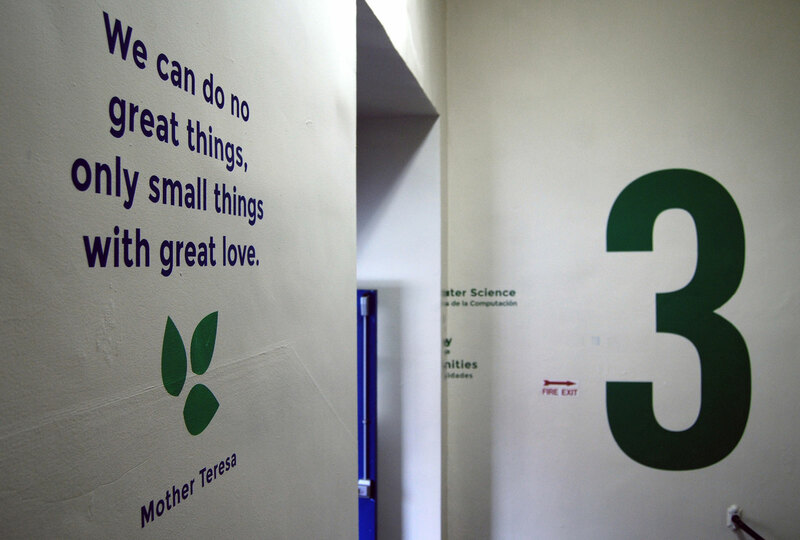 Like all of the signage in the high school, these were painted directly on the walls.